and a dynamic source of motivation!" "Hi. I’m glad you are here. My name is Carol Cline and I believe each of us was created with a purpose and each is uniquely gifted to fulfill our purpose. I also know first-hand how easy it is to get caught up in the busyness of life and neglect the very purpose for which we were created. When what we do no longer aligns with who we are, it’s time to reassess and rebalance. That’s where I was just a couple of years ago. So I left the security of a large organization where I was doing good work and seeing great results to pursue a greater purpose. And here I am, a short time later, doing work I am called to do for organizations of all sizes and people from all walks of life. Through understanding and application of The Speckled Egg Principle™, organizations (industries, companies, individuals, families, churches, Boards) are discovering and nurturing the individual and collective gifts that extend their capacity. And I get to watch them soar. What a privilege. Carol Cline has been exceeding customer expectations for the past 30 years. Helping others exceed expectations builds internal and external loyalty. Loyalty drives repeat business and contributes to organizational success. Carol’s initial introduction to contact center work was in higher education where she led successful outbound fundraising and friend-raising campaigns for two colleges utilizing committed work study students. The impact was realized far beyond dollars raised. In 2000, Carol entered the healthcare management field as the manager of communication services at Memorial Hospital of South Bend. Her expertise in customer service quickly inspired new patient experience initiatives. Carol served as director of operations for the clinical contact Center at Aurora Health Care, the largest health care system in Wisconsin. She initiated the Call Center Round Table uniting leaders from across Aurora to enhance customer service by standardizing phone services, scripting, delivery, and metrics. This initiative validated the disparate systems and processes in place and sparked the virtual consolidation of three contact centers from across the system. The contact center aligned its work with the overall goals of the organization and became one of the organization’s top ten strategies. 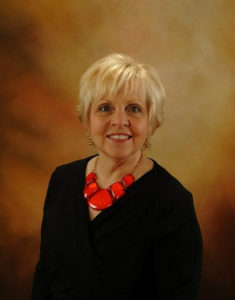 Carol moved to Florida, founded her consulting company to aid organizations in their journey to excellence. Through enhanced training, equipping, and empowering of front line staff, organizations realized marked improvement in patient/customer experience as well as employee engagement. Her first book, The Speckled Egg Principle™, was released November 2016. She integrates the Principle in her work with individuals and organizations of all sizes. From higher education to marketing & events, from the courtroom to healthcare, Carol has influenced thousands of people in hundreds of circumstances to be their best.